It now counts for Bundestrainer Joachim Löw. “The World Cup bonus is now gone,” former Bayern and Borussia Dortmund head coach Ottmar Hitzfeld told the German magazine kicker wrote on Monday. Following a disastrous World Cup campaign in which Germany finished last in Group F behind Sweden, Mexico and South Korea Germany’s coaching staff is under pressure. The central question ahead of the UEFA Nations League opener against world champions France, therefore, has been whether Löw is still the right man for the job. “We all want to show that what happened in Russia should not have happened,” Mats Hummels said on Monday. “And that this should not happen again,” Hummels added. We the players have to ensure that the performance is there and that the results are right,” Thomas Müller added. The players carry some blame. Löw without a doubt has to carry much of the blame for the performance in Russia, as well, however. Die Nationalmannschaft dominated all three games during the group stage but at the same time were sluggish and lacked the final punch through to dismantle deep-sitting defensive lines. Furthermore, Löw was unable to motivate a group of players that had won the 2014 FIFA World Cup and failed to integrate the successful members of the 2017 FIFA Confederations Cup. Add to that the Mesut Özil affair, the Arsenal midfielder, together with Germany teammate Ilkay Gündogan, had met with Turkish President Recep Erdogan ahead of the tournament. But while Gündogan has been open about the meeting Özil had not and was criticised by the German public and media. While Özil never issued an indepth statement regarding his meeting with Erdogan some of the media criticism crossed the line into racism. Ultimately, Özil announced his retirement via an English statement on Twitter and then refused to accept phone calls by Joachim Löw to discuss his retirement. 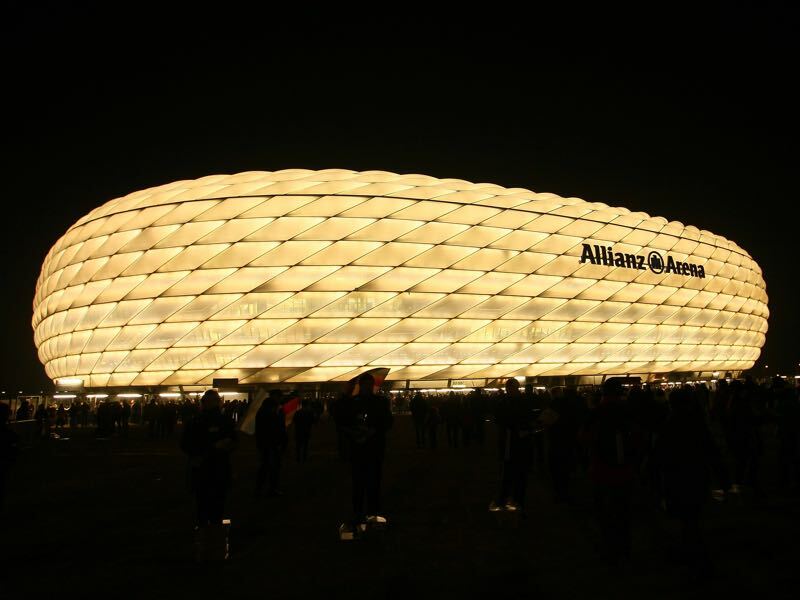 The poor handling of the Özil affair, by all sides involved, certainly damaged Germany’s World Cup campaign and had unleashed, an important, discussion on immigration, racism and integration in German football. Without Özil, and with the ongoing discussion of players with migration background, Joachim Löw is now in charge of revitalising a squad that on a second glance does not need much revitalization. Many of the 2014 FIFA World Cup winners are still in the prime of their careers. Furthermore, the 2017 ConfedCup winners and the 2017 U-21 European Championship winners are now raring to go showing that they should have been given more playing time in Russia. Didier Deschamps will have no such problems heading into the game on Thursday. A member of the 1998 FIFA World Cup squad Deschamps added another World Cup medal to his collection this summer. Beating Croatia 4-2 in the final Deschamps joins an illustrious circle of coaches that have won the World Cup both as a player and as a coach – the other two are Mario Zagallo (Brazil) and Franz Beckenbauer (Germany). Ahead of the tournament, Deschamps was heavily under fire for holding back an attacking side that is second to none when it comes to firepower. On top of that, the 49-year-old was criticised for playing boring football and even worse was named as the number one reason for not winning the 2016 European Championships. It was a criticism that carried throughout the tournament as France often seemed to hold back focusing on defensive football rather than unleashing the many talented forwards in the team. “I rather lose with this Belgium side than win with this France side,” Thibaut Courtois told HetNieuwsblad following Belgium’s exit against France in the semifinals. “It is their good right to play like that because they know that it will cause us problems. But it isn’t nice to watch. [France] aren’t better than us. They defended well, but that was about it. To be honest, I would have rather lost to Brazil than against this French side,” Courtois added. Only against Argentina and Belgium did the French genuinely unleash their attacking power scoring four goals in both games. France did what needed to be done, which is key to win the World Cup. A short-term tournament is always about team cohesion and squad chemistry, and Deschamps got all those things right. Now France, however, will be hunted by the rest of the world. Germany found out the hard way what it means to be the world champions. 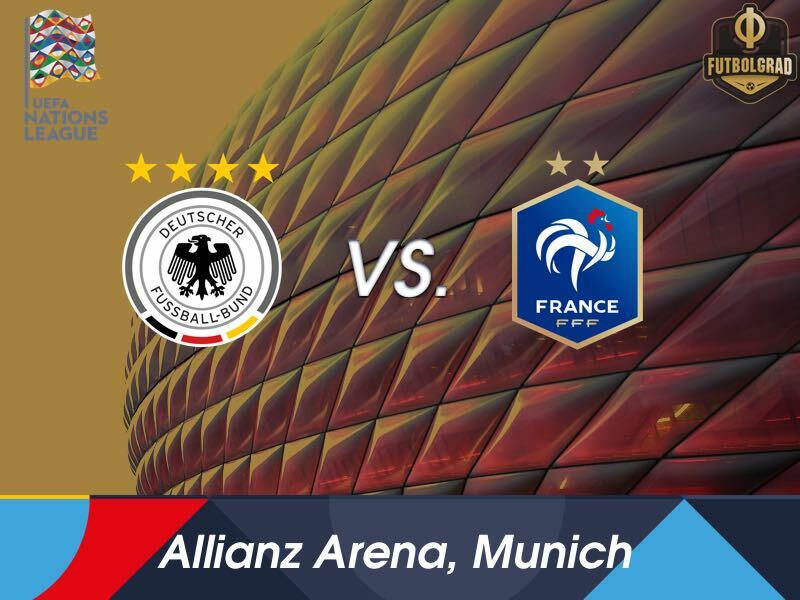 Released of their burden die Nationalmannschaft will undoubtedly perform better than they did in Russia whether it will be enough to beat France, however, remains to be seen. Toni Kroos was one of the most heavily criticised players at the World Cup. His performances ranged from fantastic, against Sweden, to sluggish, against South Korea. With Özil retiring the Real Madrid midfielder, however, remains the only world star on the squad, who does not play for Bayern München. 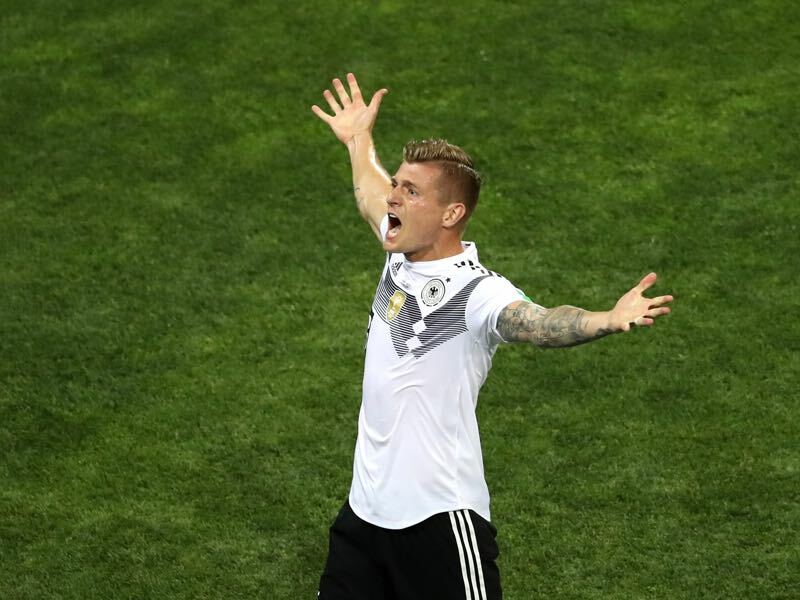 Hence, with Germany now trying to resurrect themselves from the World Cup trauma Kroos will be asked to carry the leadership role on the pitch, even if Manuel Neuer is the captain. Kylian Mbappé was the rookie of the tournament in Russia. 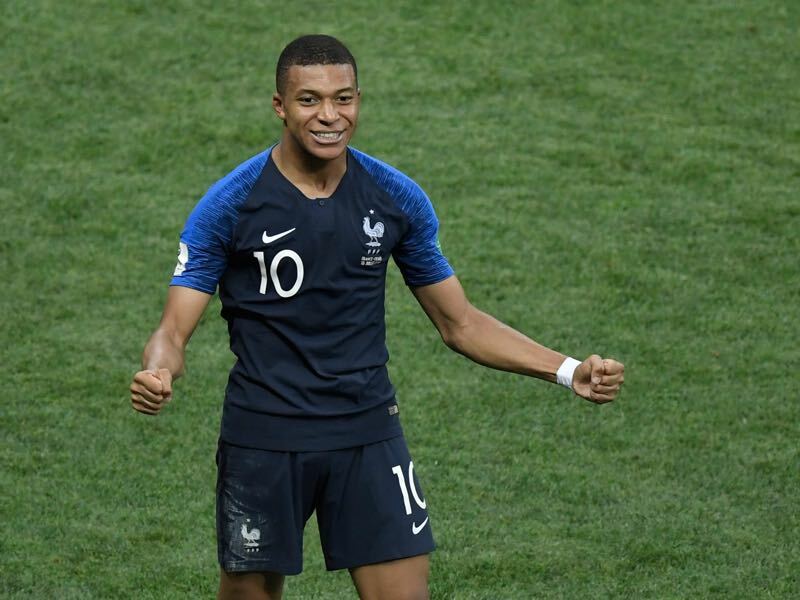 The Paris Saint-Germain teenager scored four goals in seven World Cup games and became the first teenager to score twice at a knockout stage match since Pelé scored twice at a knockout stage match at the 1958 FIFA World Cup. The 19-year-old has been in spectacular form to start this season scoring four goals in three Ligue 1 games.